As you may know I'm a big fan of photo books. They organize your photos compactly in a form that is enjoyable to look at, pass on, etc. I picture my children looking at those photo books many years from now. 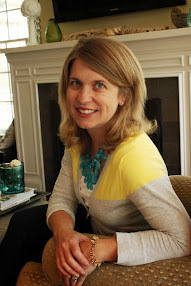 As I declared on Facebook, I am determined to finish my 2012 book before the end of 2013. Having a 2 year backlog is a recipe for disaster!! At the beginning of last summer, a wonderful local portrait photographer (who teaches incredible "get your DSLR camera off auto" classes) suggested that her former classmates attempt a daily photo project where you take a picture every day for the entire summer. You could use a DSLR or a cell camera to meet the goal. DSLR only would have been a deal breaker for me since I cannot carry that camera wherever I go. I was super excited to take this on and started right away on the last day of school. Here are a few highlights. The kids even got in on the game and were reminding me to take some photos most days. I took most with my iPhone - it's so convenient and is pretty much always with me. 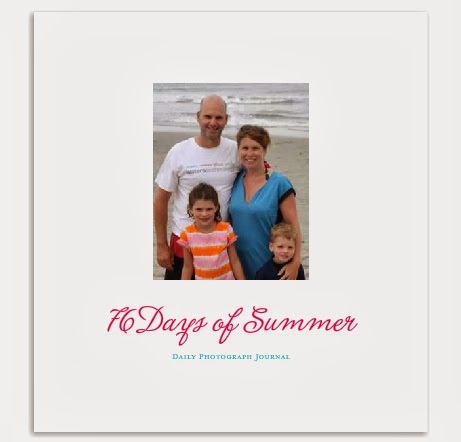 In September, I put everything in a Shutterfly photobook and called it a daily photo journal. I styled the pictures as squares and even made my own custom page layouts because I couldn't find exactly what I was looking for amongst the existing templates. Our family has enjoyed looking back through the book - especially on some of the chilly nights we have had - to remember what it was like to have warm sand between our toes! 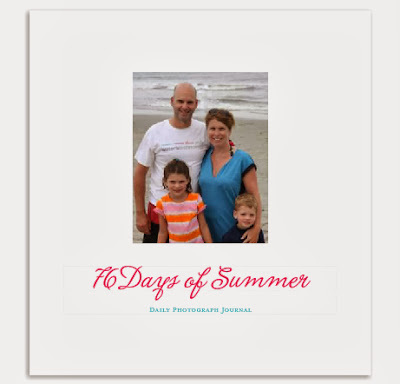 I can't say I will do them for every season, but summer is always packed with so much family fun that I wanted to preserve those memories in their own book. I'll still make a book for our year as well... at some point. Note: Shutterfly provided me with a promo code that I used towards the purchase of this photo book. All opinions are my own.